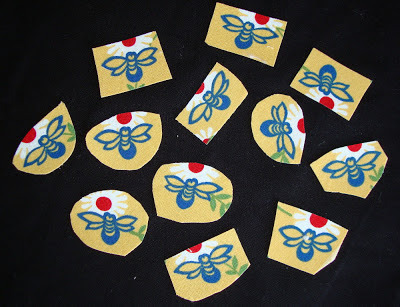 Hollyhock Quilts: Fusible Fabric Bees for Your Quilt Garden or Beehive! Fusible Fabric Bees for Your Quilt Garden or Beehive! I thought I would let you know about a little something that I'm listing on Etsy. 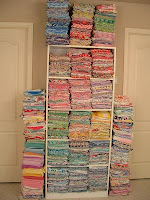 When I was designing fabric, I did a collection called Bees Knees. One of the prints had cute little bees that I used to embellish on one of the quilts that I made into a pattern called, uuuhhhhhh, BEES KNEES!! Original, huh?? 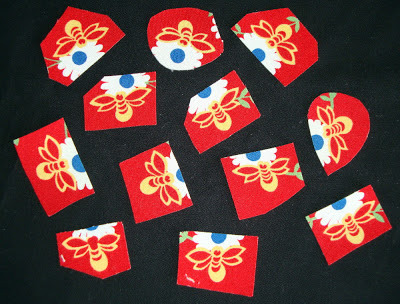 Anyhoo, they are really fun to use on your floral applique quilts to add a little extra interest. 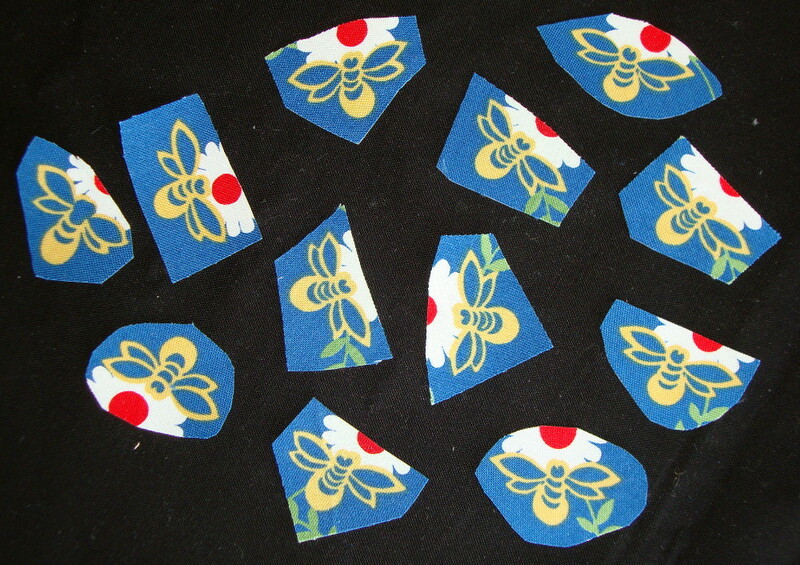 We have cut out little pieces for you, each with a bee on it, added fusible to the back and they are ready to iron on! 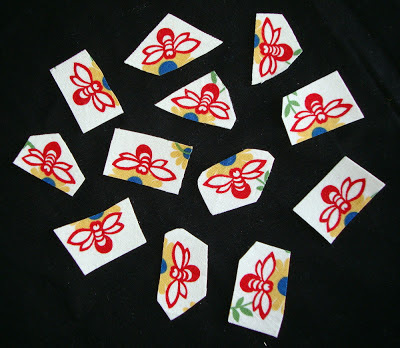 All you have to do is the final cutting on the bee and voila'! 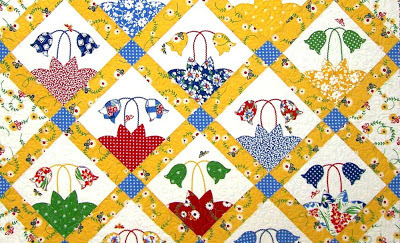 A bee in your quilt garden or flitting around your beehive!! 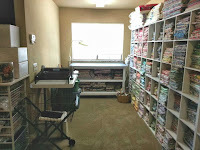 They measure about 3/4" x 1 1/8" when finished and they come in 4 colorways. 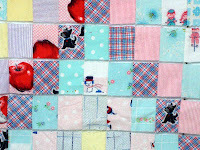 Here is a pic of part of the finished quilt so you can see how they look. Click to enlarge and see them better. 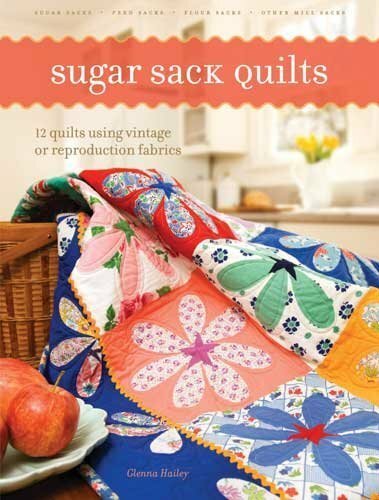 If you don't want to buy on Etsy, you can send me an email at hollyhockquilts@gmail.com to order. They are $4.95 per dozen, including US postage. If you want a mixed group, just let me know what you would like and I'll send you an invoice through PayPal. Enjoy!